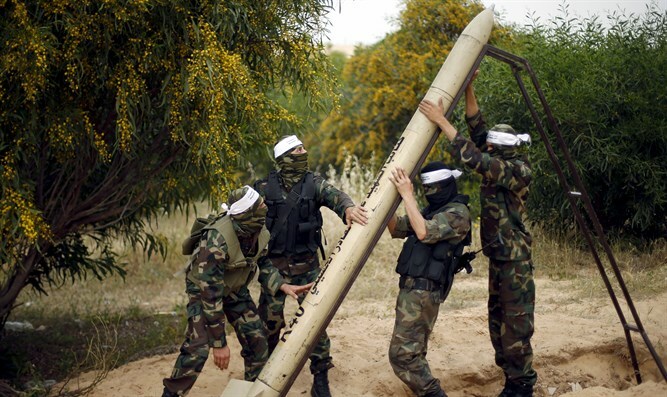 Rocket fired from terrorist-run enclave explodes in open area. No injuries reported. A rocket fired Tuesday evening from the Gaza Strip exploded in an open area in the Ashkelon Regional Council. There were no casualties and no damage was reported. Ashkelon residents heard the red alert siren, followed by a loud boom as the rocket exploded, Channel 2 reprted. IDF forces are searching the area for the remains of the rocket. Last month, a rocket fired from Gaza exploded in an open area near the security fence in the Eshkol Regional Council. There were no casualties and no damage was reported. In response, IDF forces attacked a position belonging to the Hamas terrorist organization in the southern Gaza Strip.